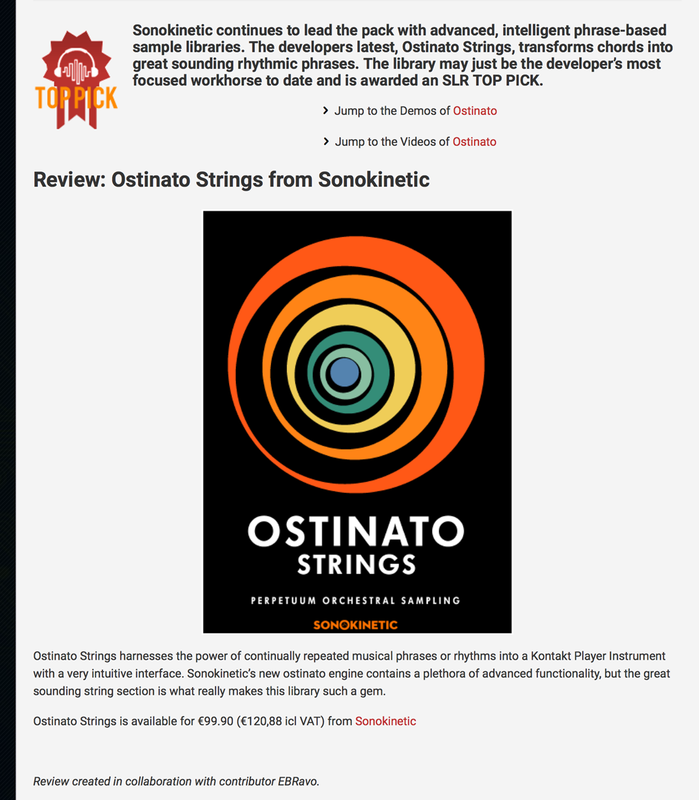 At the heart of the Ostinato series there is an entirely new process that we've been developing for quite some time now. From the recording stage, the entire approach is different from our regular phrase instruments in that we recorded separate intervals for various rhythm building blocks. After careful editing we combine these intervals through an intelligent script that builds them into chords in 5 different voicings and up to 4 inversions (the fourth only for 7th chords). 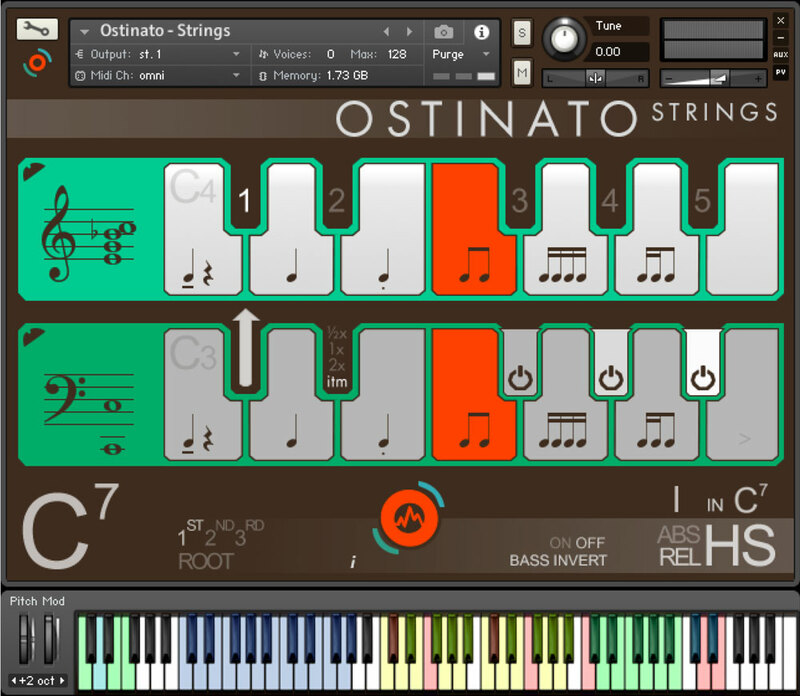 Ostinato recognises and plays 12 different chord types, it is our first instrument that can handle diminished, half-diminished, augmented chords and many more. For a full list check the user manual. 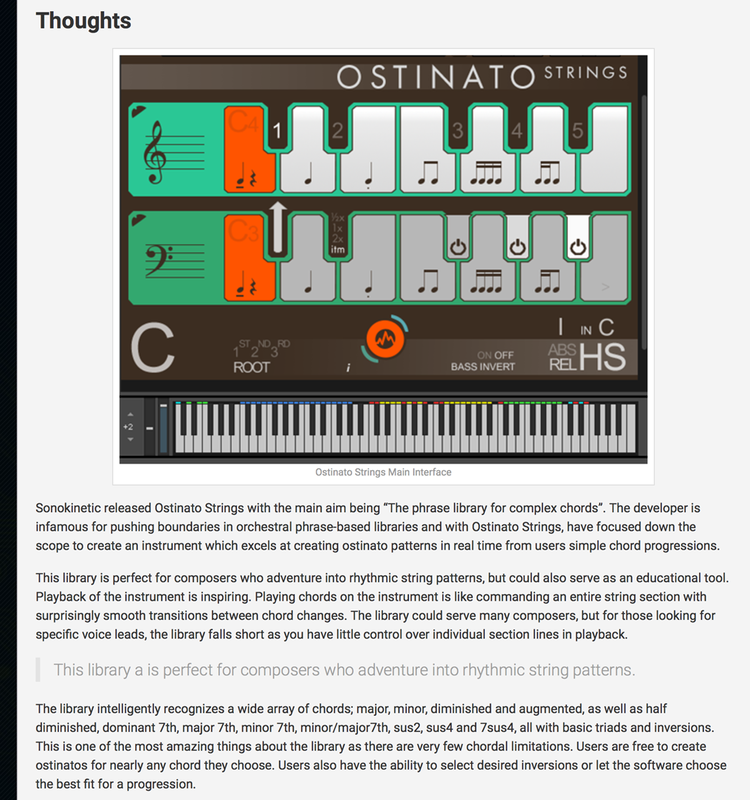 This is the first product in this new line of instruments that will coexist alongside both our Orchestral Series and our Phrase-Based libraries, bridging the gap by doing one specific thing exceptionally well... ostinato chords. 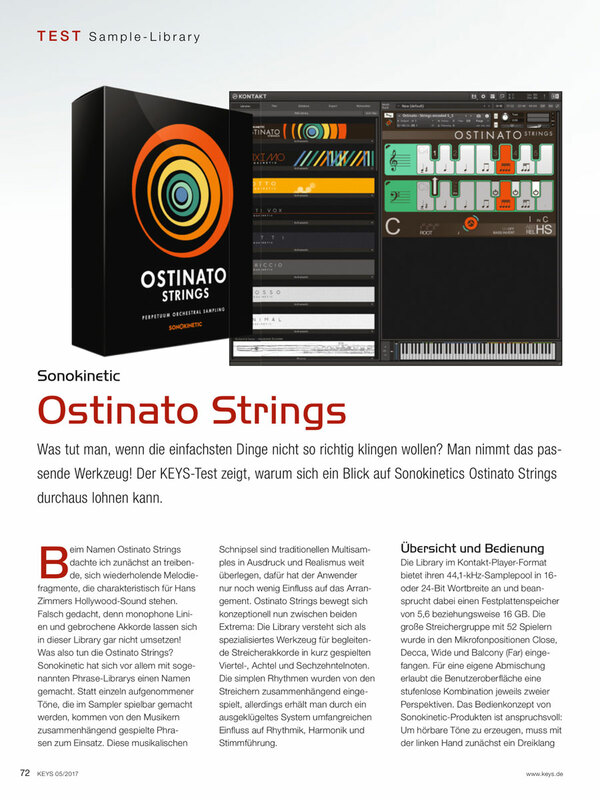 We, at Sonokinetic BV, are very proud to introduce Ostinato Strings to you and can’t wait to hear the amazing things you, our valued customer base, will produce with it. 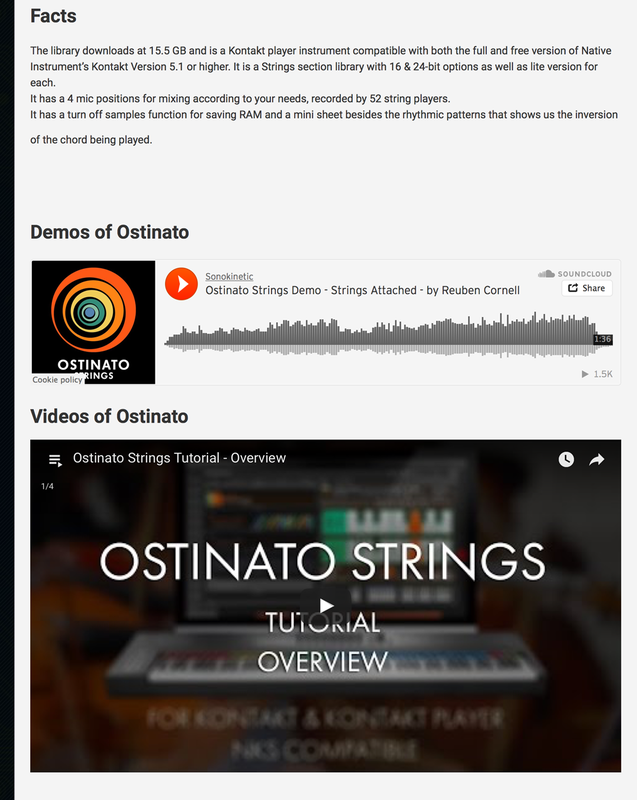 On the left is the main interface for Ostinato Strings. 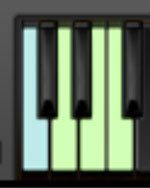 Almost every aspect of the instrument can be changed either by clicking on the appropriate part of the interface, or by using the colored keyswitches. Pressing some of these keyswitches will have different effects depending on what velocity you use. More on that later. 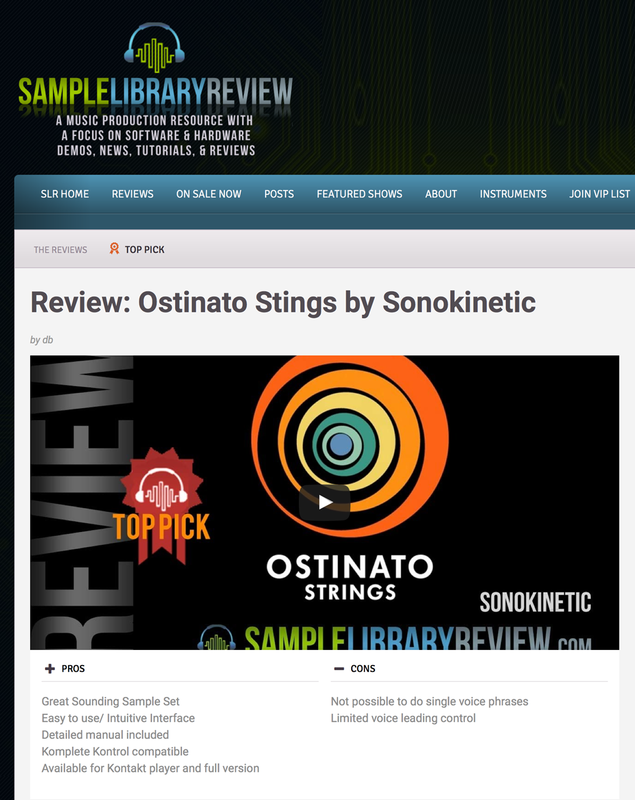 Ostinato Strings is an instrument for playing rhythmic string motifs. 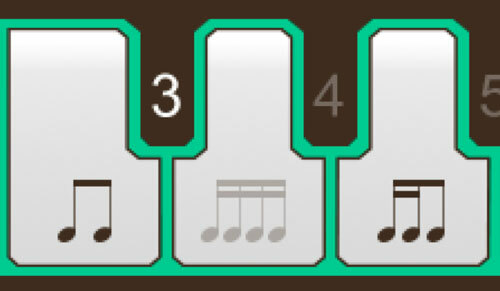 In total there are 6 different types of patterns, indicated by these graphics in the interface - shown on the white keys. 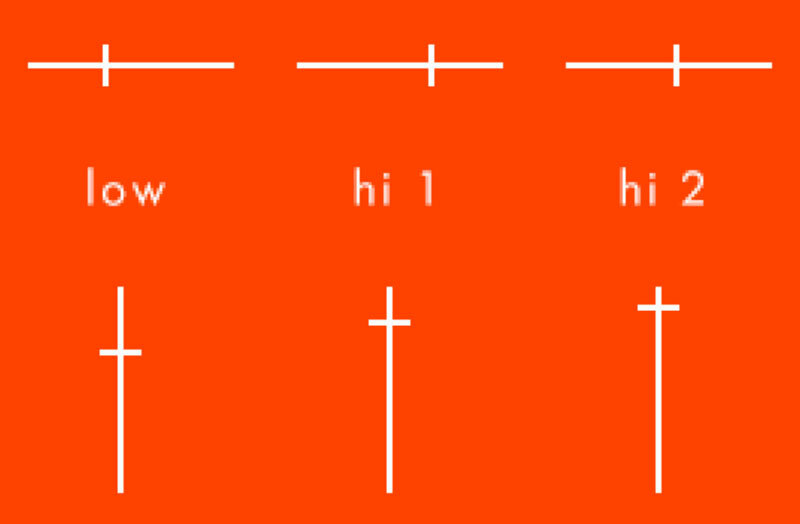 By default the high and low string patterns are linked, so that if you change the pattern in either high or low, the other string section will change accordingly. These sections can be unlinked by clicking this arrow graphic in the interface or using the velocity sensitive keyswitch at C#3. More information about this coming up. Every time you play a chord in Ostinato you are actually hearing 3 sampled phrases playing together. 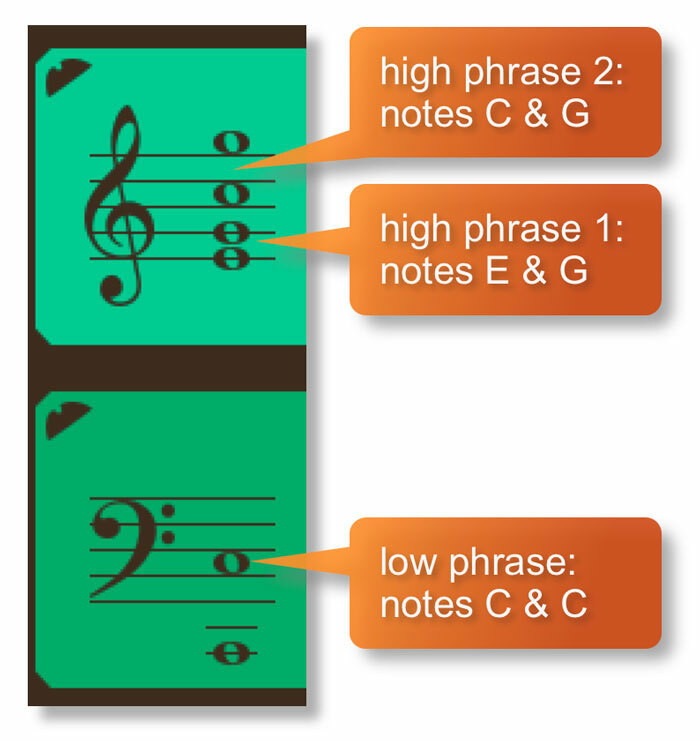 These comprise of two high note phrases (each of two notes) and one low phrase (of two notes). 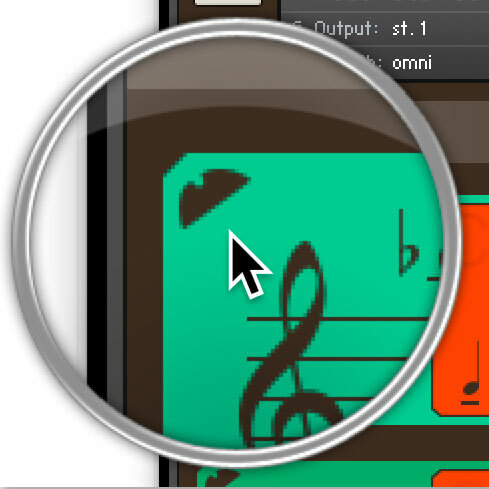 The easiest way to see this in action is by looking at the notation shown on the left hand side of the interface. 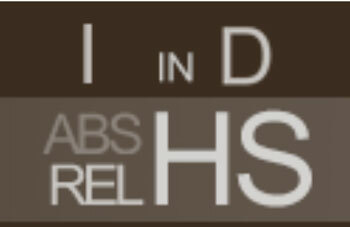 By default the MOD wheel of your MIDI keyboard will control the output volume of both the high and low string patterns. As you lower the volume using the MOD wheel, subtle EQ adjustments are also introduced to soften the sound and give the impression of a great dynamic range. Phrases in Ostinato have been recorded at 130 BPM in 4/4 time. 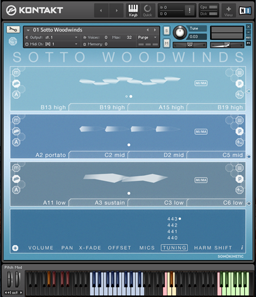 Regardless of the time signature and speed of your composition, the Ostinato engine will adjust the timing and playback of the phrases automatically so that they fit your project. 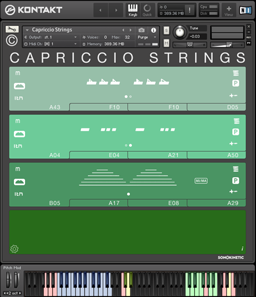 To get the maximum flexibility out of Ostinato we’ve provided the ability to unlink the bass strings layer from the two high strings layers. 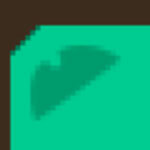 This means that you can assign independent patterns to each. 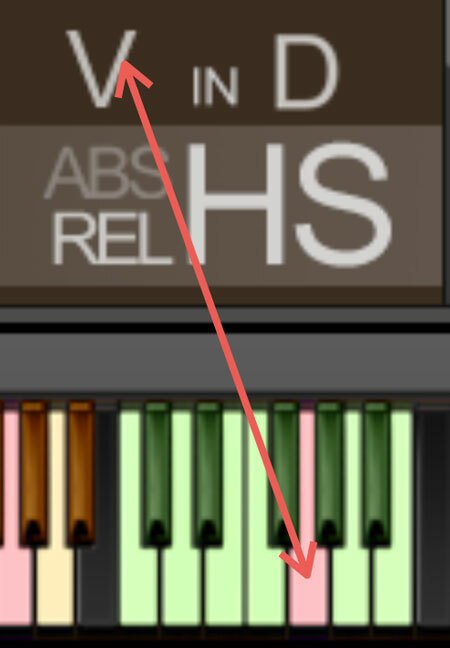 To unlink the bass layer simply click on the arrow shown here, or use the velocity sensitive keyswitch at C#3. Although Ostinato plays the inversion it gets from chord detection, the bass layer will, by default, play root notes of the chord rather than the lowest note of the inversion. 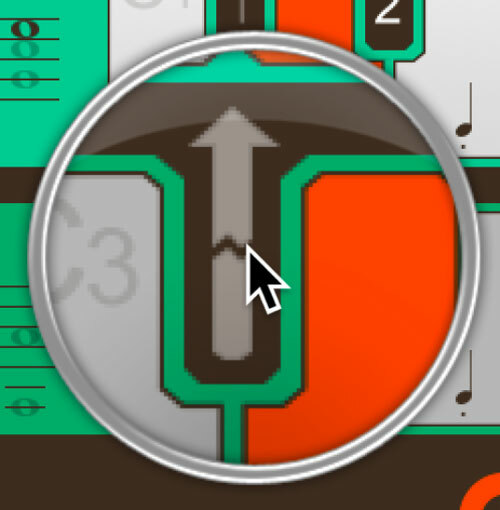 If you want the bass layer to play inversion notes you can turn Bass Invert on. 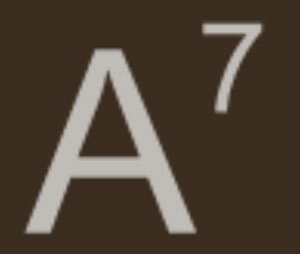 In that case the bass layer will play E in the first inversion of C, Bb in the 3rd inversion of C7, etc. In some voicings the bass layer may have some tonal material other than just the octave, for instance C-E or C-G for a C chord. When Bass Invert is on it will always play an octave to avoid adding notes that don't belong. If you’re familiar with previous phrase-based libraries from Sonokinetic then you may have used the harmonic shift function before. Be aware that in Ostinato the harmonic shift operates differently than before. 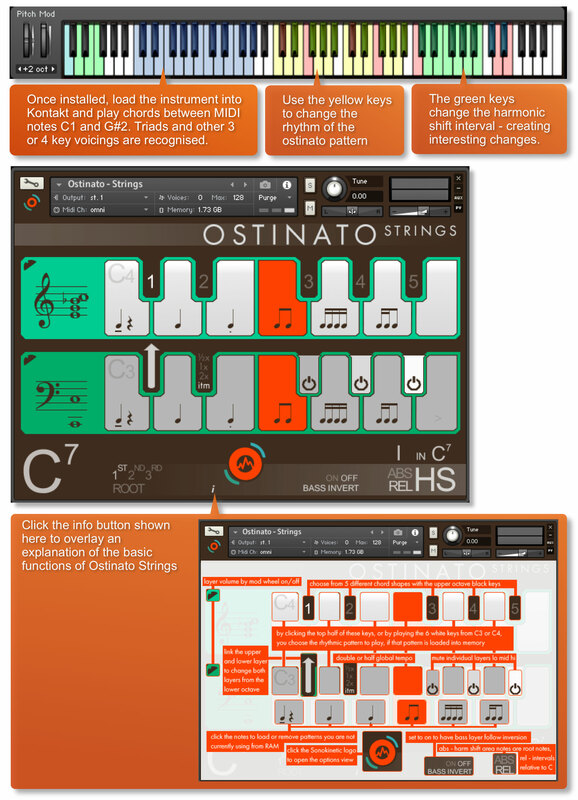 In Ostinato it’s more like a ‘one-key’ automatic voice leading tool. We will look more closely at how to play with harmonic shift later in this manual. 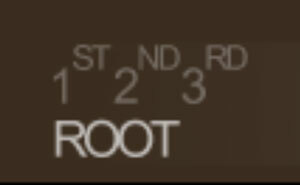 The basic method of playing Ostinato is to play three or four note chord combinations in the key range C1 to G#2. 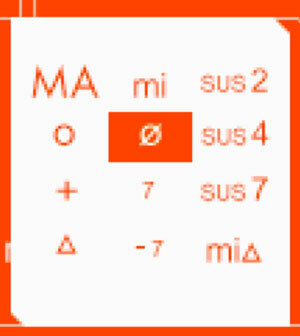 New in Ostinato is the ability to output inversions. 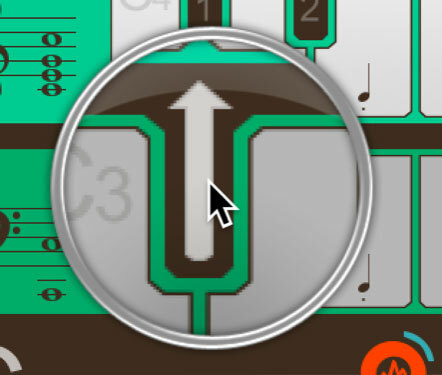 When playing chords in the left hand area the engine will recognise the inversion you play, and display it in the Inversion display area. 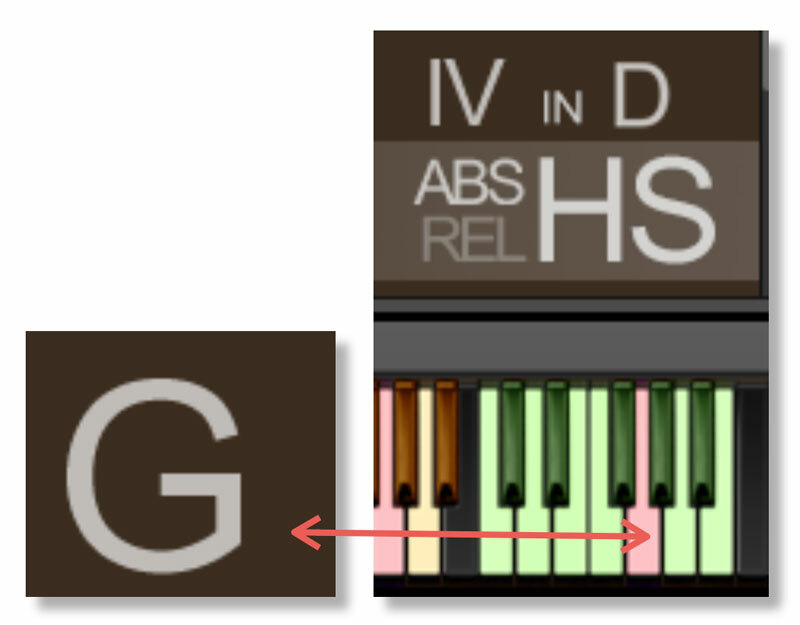 When playing in the Harmonic shift area the inversion the instrument picks will be based on the relation of the chord to the last played chord and its inversion, choosing the inversion that will have the smoothest transition. 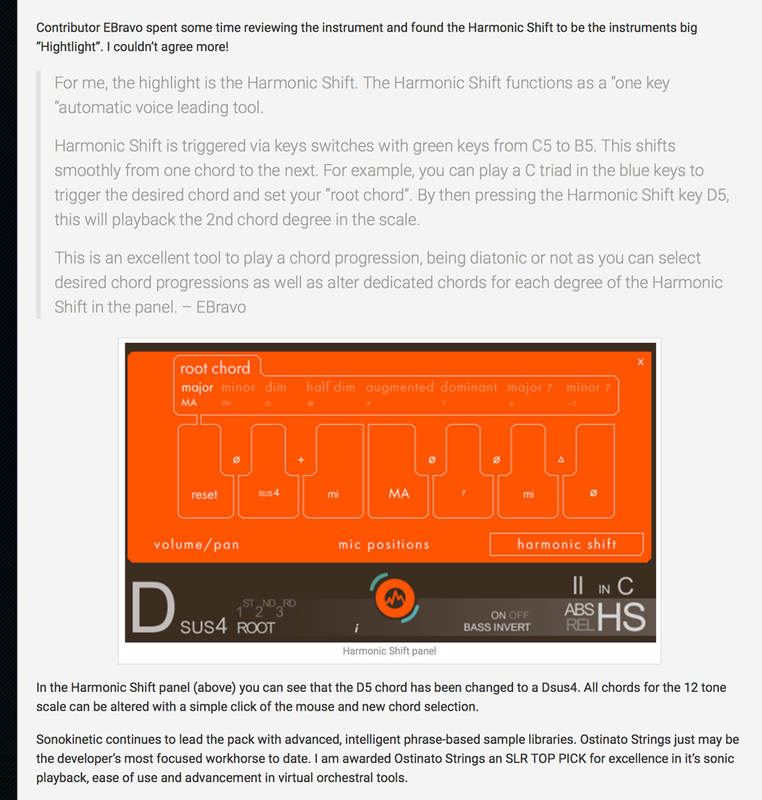 Harmonic shift is a function we have introduced in our other phrase based libraries to make it possible to shift part of your instrument to a different key, making it possible to create extended chords. For Ostinato we have completely rethought what harmonic shift does. In Ostinato, Harmonic Shift always works for all the phrases, so it is more like a one finger instant harmonising and voice leading tool. Unlike in our other Instruments, you can play the Harmonic shift area standalone in Ostinato, in which case it will remember the last played chord in the chord area as Root Key and makes all the Harmonic shift chord types relative to that. 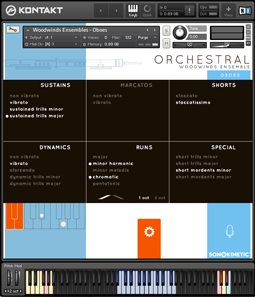 Also in Ostinato we've added an additional mode for Harmonic Shift, you can now choose between Absolute and Relative by clicking the ABS or REL button in the bottom right corner of the interface. 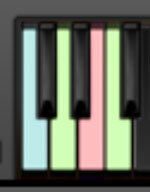 Now in Relative Mode, the Harmonic shift area affects the part left of the 'in' directly, so if you go up the scale chromatically in the Harmonic shift area of the keyboard (the green keys between C5 and D5), that will directly correlate with the function part; C# plays the bII chord (Ebhalf-dim), D plays the II chord (Em), G plays the V chord (A7) etc. 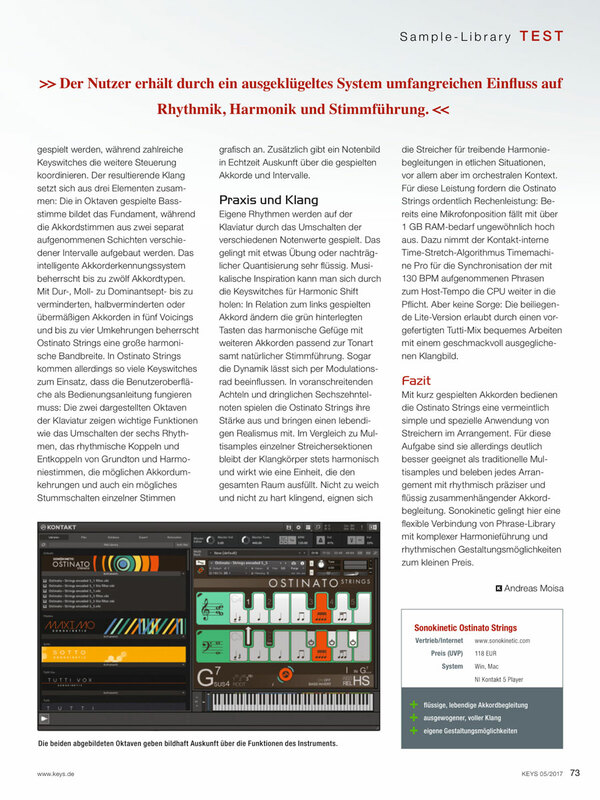 Another feature in Ostinato is the ‘Bar Sync’ option. This is controlled by velocity sensitive keyswitch E6. High velocity (>84) will turn it on, low velocity (<83) will turn it off. 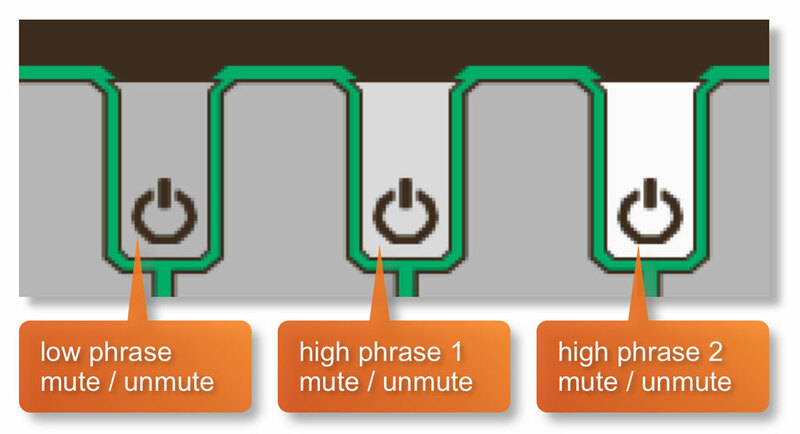 This feature works in conjunction with the ‘Phrase Continue’ function. 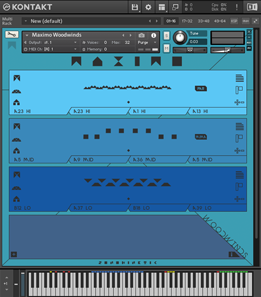 When switched on, the scripting within Ostinato will read the position of the bar in your host DAW and retain playback of the phrases in line with that bar. For example, if Bar Sync is turned on and you trigger a phrase on the second beat of a bar, the sample will play from its second beat too. 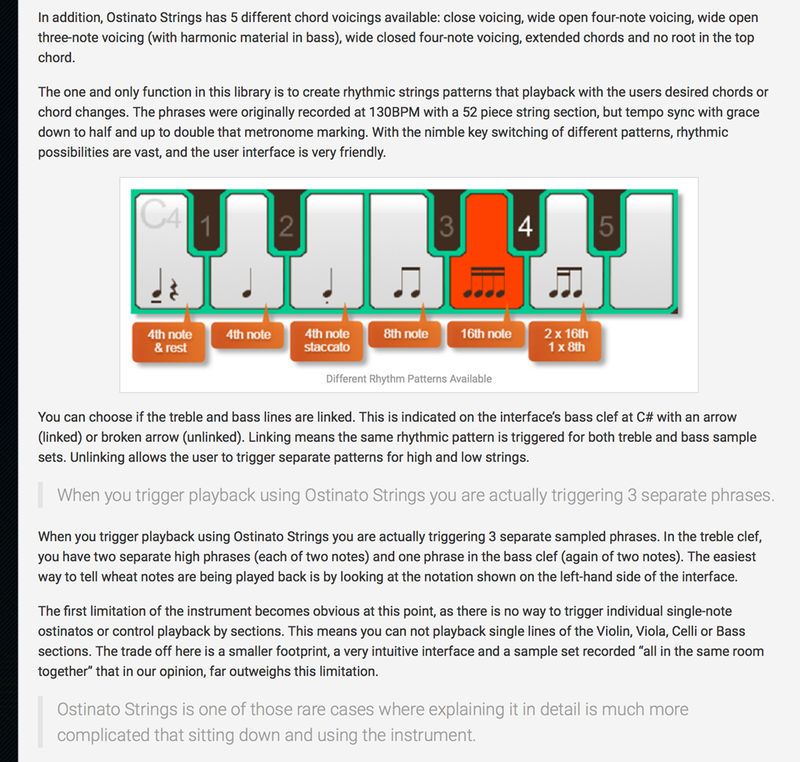 There are a number of different ways to play Ostinato and change chords. You can either use the sustain pedal to hold chords, use voice leading on one or more notes or simply release and retrigger. 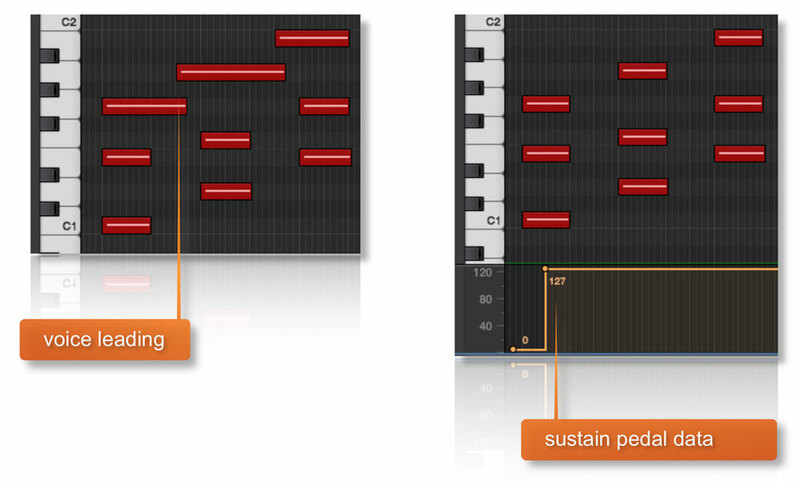 These different modes become important when it comes to using Ostinato in your chosen DAW. 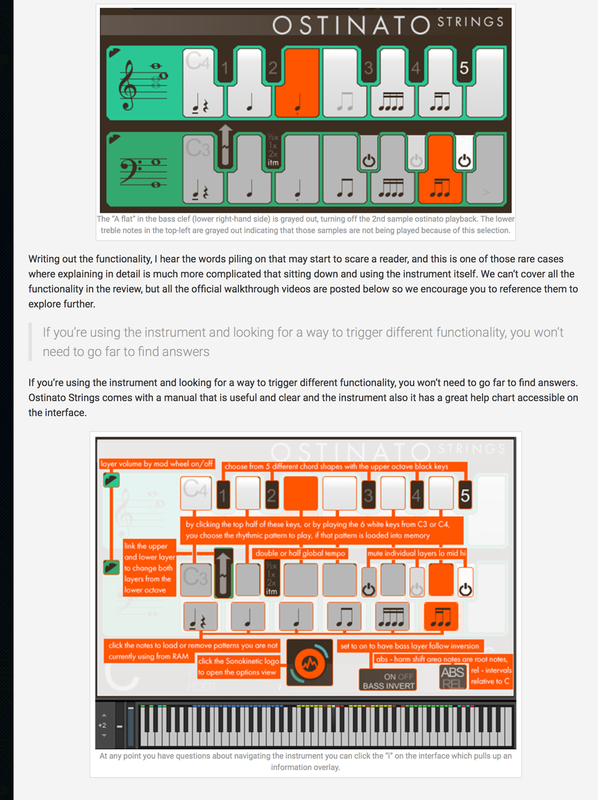 Whether you play Ostinato ‘live’ into your DAW and edit the MIDI afterwards, or if you sequence directly using your DAW’s piano roll, there a few things you should know which will help you get the best from the instrument. Both voice leading and using the sustain pedal produce the same effect; a sustained chord which is held until 3 / 4 notes of a new chord are engaged. 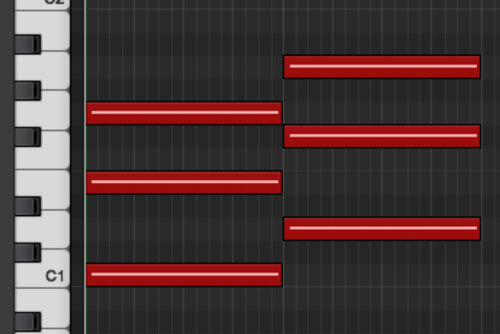 This is by far the best way to get great chord transitions with Ostinato. 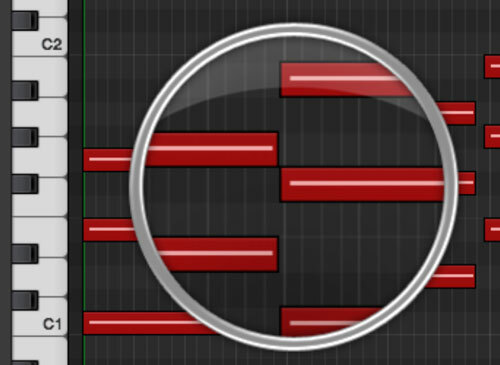 Offset the MIDI notes of every chord except the first, slightly before the beat (in the same way as described above) to capture the new attack phase. Use the Phrase Follow so that the new chord plays the new phrase where the old one left off.